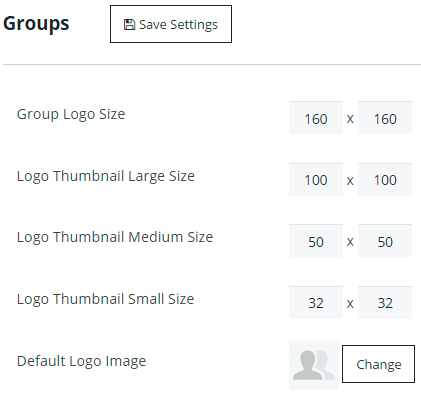 Groups page will help you to customize appearance and settings of groups on frontend of your Membership community. Specify Logo Thumbnails Sizes – large, medium, small. 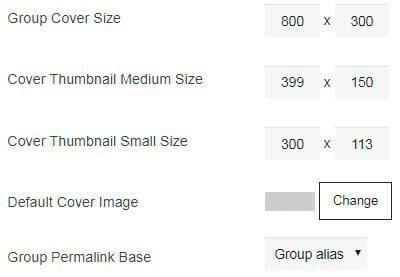 Specify Cover Thumbnail Sizes – medium and small. Select Group Permalink Base – what data to use in the link of user’s profile – group alias or group ID. E.g. “http://supsystic/groups/natural-world/” or “http://supsystic/groups/1/”. Select Who can invite to the group – All or Specific roles. Select Who can be invited to the group – Everyone or Friends only.